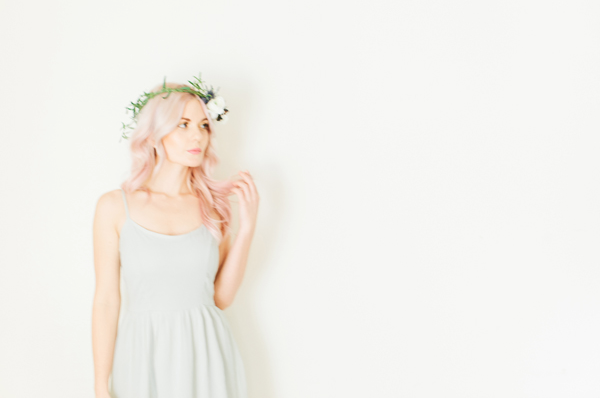 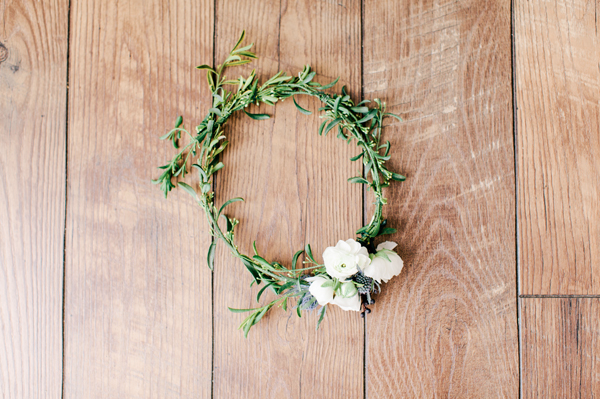 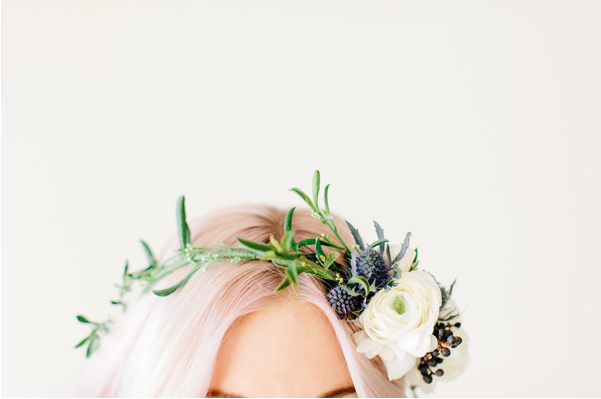 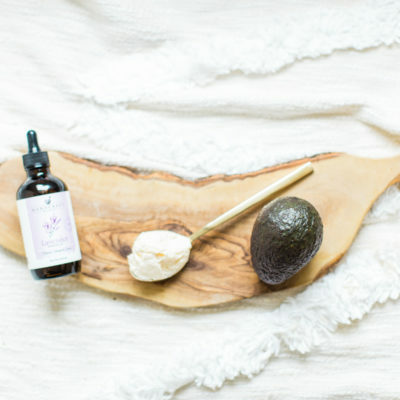 Floral Crown + Soft Pink Hair | Glitter, Inc. 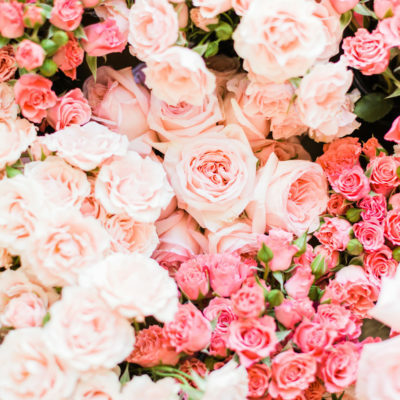 These pictures by Ciara Richardson are stunningly gorgeous. 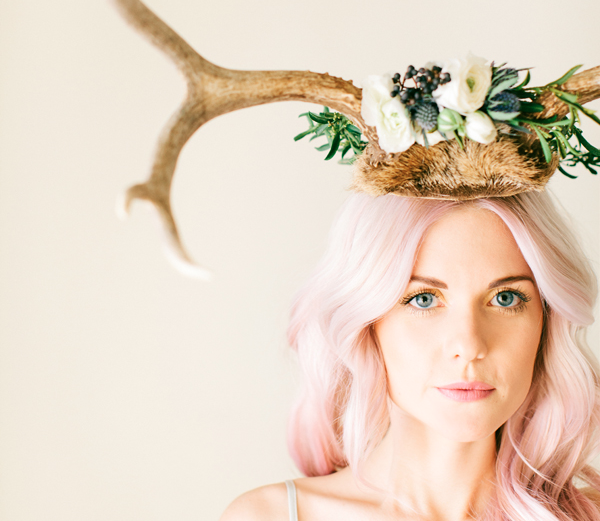 The different floral crowns and the model’s soft pink hair are perfection. 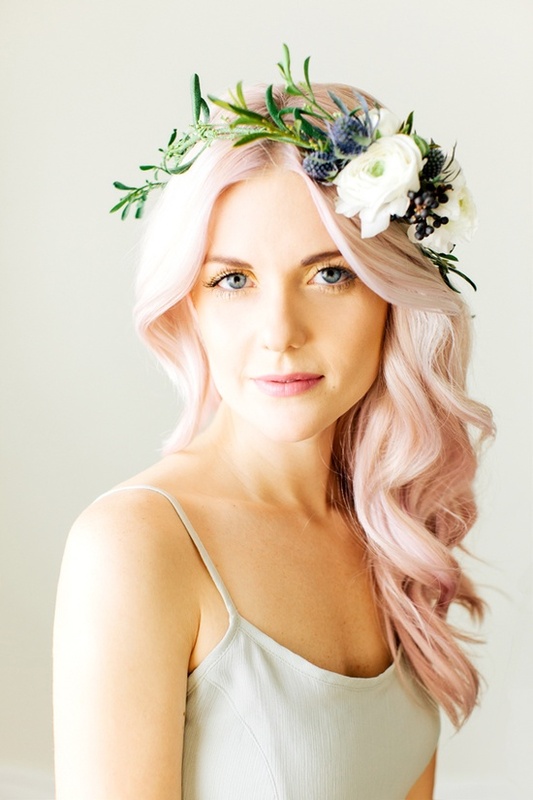 Dare I say pink might be the most perfect wedding hair color (for the adventurous bride)?